Next post: Have You Ever Been Frozen by Fear? 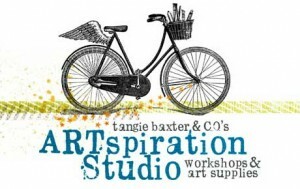 When Tangie Baxter invited me to teach at her Artspiration Studio it was a split second decision to say yes. Why was it so easy? Because of Tangie! I love her art, I love her style, and I love the space she has created in Mesa, Arizona at the Artspiration Studio! I cannot wait to actually stand in the Artspiration Studio and feel the creative energy on April 12th from 10-5! 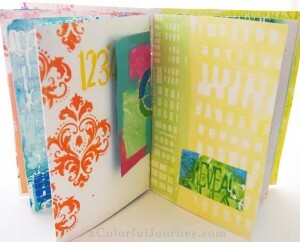 Hope to see you there too as we play and learn about stencils. A bonus treat is that she has so many of the supplies at the studio so you don’t have to bring them! The journey of your journal will begin as a stack of various papers including my 100+ year old ledger paper and favorite dictionary papers. As we build the patterns and colors on the pages you’ll learn my top 10 techniques for stenciling. 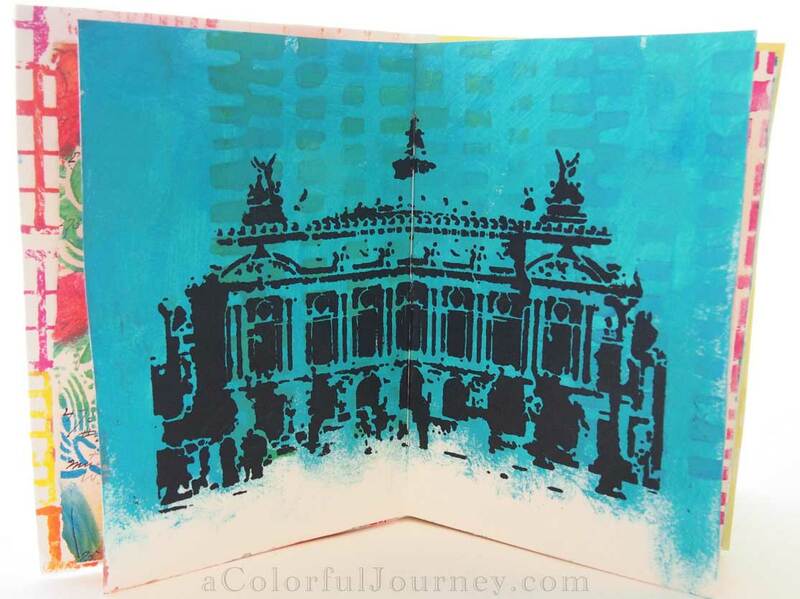 In addition to the techniques, I will share with you my tips and tricks for keeping colors from getting muddy, how to get a variety of looks from one stencil, how to make a stencil reflect who you are, how to use every drop of paint on a stencil, and how to handle an oops or two. 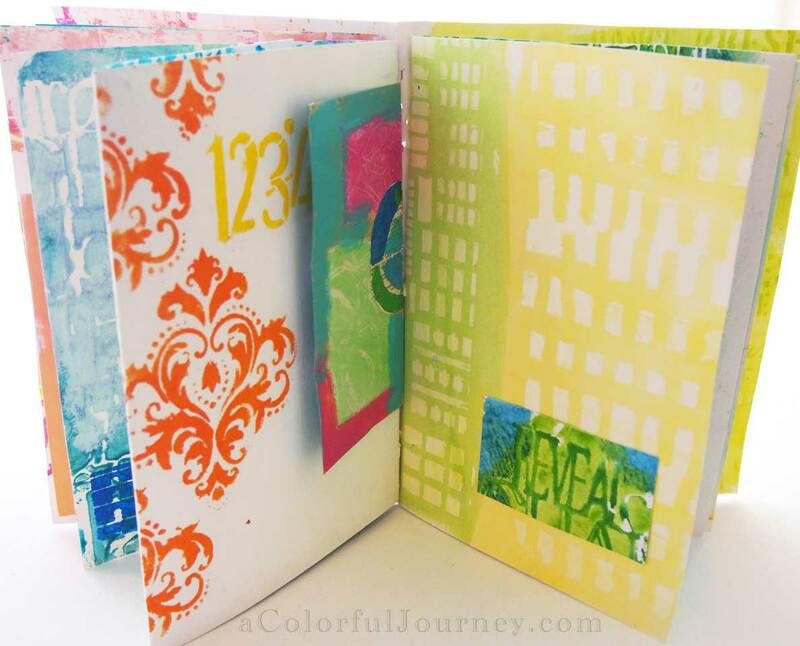 Click here for registration info for the Stenciled Journal. I’ll see you in Arizona! Oh no… I can’t come! Congrats on being invited to teach! I will be there in spirit! I hope you will share some pictures and take us with you on this adventure! Hugs!!! Waw – was just in phoenix this weekend. Would love to attend a class like this! Looks like so much fun! 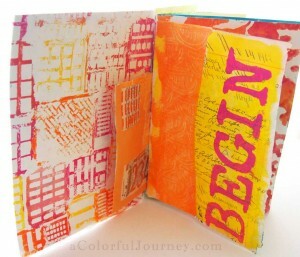 Oh it sounds very inspiring Carolyn, I feel like sitting down and creating a journal like that right now! Congratulations. 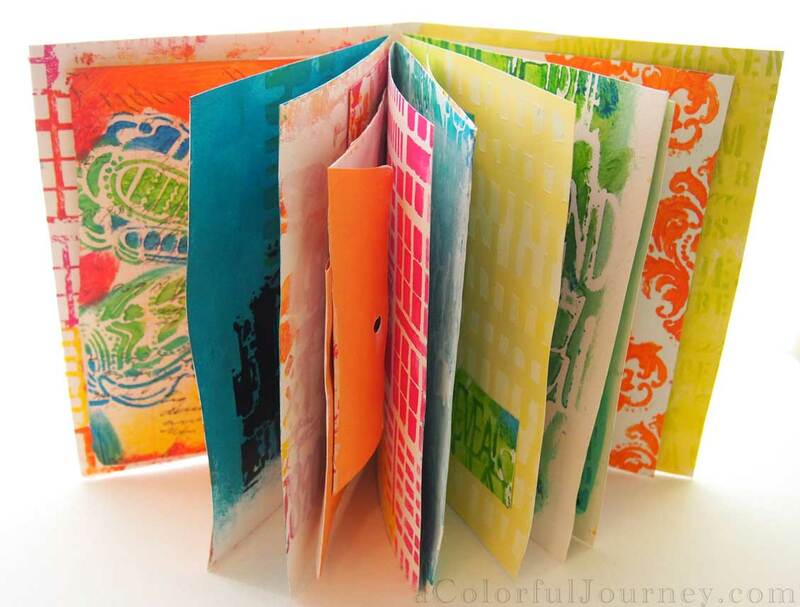 Your journal looks amazing.